I think most of us have had a few Hot Wheels cars in our day. I've limited my collection to '67 Camaro variations and have a few 2010+ Camaros as well. 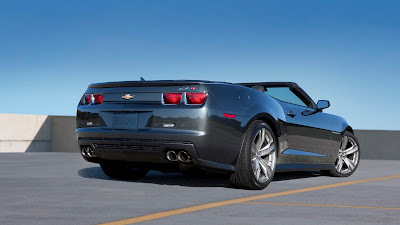 It appears Chevrolet will be unveiling a few new specail editon Camaros in the next coming weeks. One of which is the Hot Wheels edition that debuted on SEMA-eve. Paying homage to the original Anti-freeze green 1967 Custom Camaro that hit stores in 1968, I can't wait to hear more about his car! Are you at SEMA this week? Let us know what you think about the new Camaros. There was a similar buzz of excitement in the Hot Wheels studio. 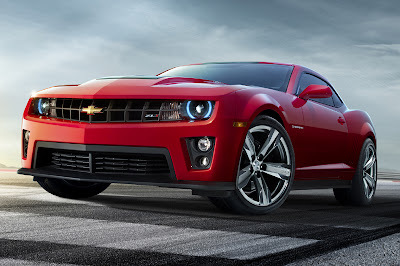 The synergistic project created a car that is instantly identifiable as a Camaro with styling cues – including flat-black graphics, red-line wheels and, of course, the dazzling metallic-green finish – that are classic Hot Wheels. 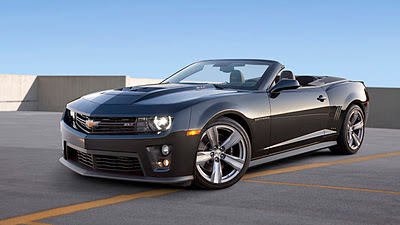 The original Hot Wheels cars debuted with their metallic Spectraflame paint finishes, and the Camaro Hot Wheels Concept features a brilliant, chrome-style finish created in a similar manner: a tinted top coat over a shiny base. In the case of the original Hot Wheels lineup, the process involved polishing the die-cast metal vehicle bodies and applying a metallic lacquer to them. With the Camaro Hot Wheels Concept, the process was decidedly more complicated. The reflective finish was created using Gold Touch Inc.’s Cosmichrome product, starting with the application of a primer coat on an immaculately prepared surface. The primer coat was then sprayed with a liquid-metal solution to create the mirror-smooth, silver-chrome base coat. Afterward, the green tint was applied in several layers until the just-right color effect was achieved. 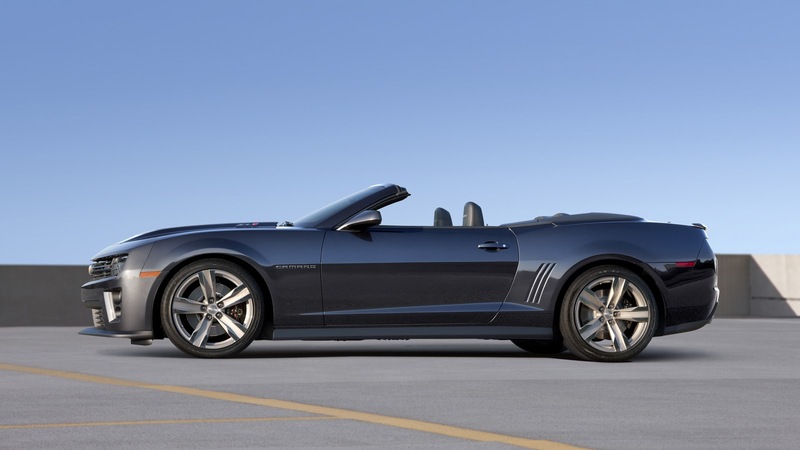 Under the hood is the all-aluminum 6.2L LS3 V-8 backed by the Tremec TR6060 six-speed manual transmission. Hot Wheels will offer a collector’s edition 1:64-scale model based on the full-size Concept. 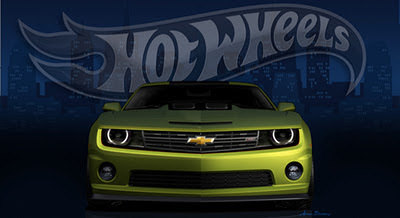 Purchase information is available at http://www.hotwheelscollectors.com/, as well as the Hot Wheels and Chevrolet Camaro Facebook pages. It will be the 18th 1:64-scale Hot Wheels Camaro model produced since 1968, all with a variety of colors and configurations. During the past 44 years, literally millions of Hot Wheels Camaro models have been produced. The original Custom Camaro from 1968 remains one of the most valuable Hot Wheels toys among collectors. That year, Hot Wheels produced all the Custom Camaro models with Spectraflame paint – except for one version in white enamel. Today, examples of the Spectraflame Custom Camaro in excellent condition can sell for $150 or more. Only 15 white enamel versions are known to exist, and none are in their original packages.